Tanzanian singer Lady Jaydee has left his fans in a bitter mood after taking to instagram to share several photos wearing a see through dress. 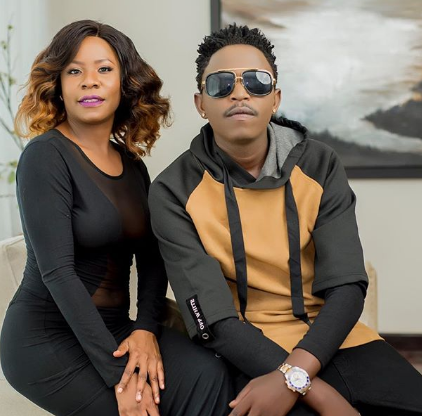 Jaydee, who has been featured by singer Linex in his new song “Too late” shared the photos on social media and captioned: Nimefunika kitovu, je! Inatosha?? Fans however, didn’t like her post and complained that she’s shouldn’t wear such cloths. wamburacnn Out of range, don’t wear it again. eazyeazy255 Du jide umeharibu yaani huo usenge hapo umemzidi hadi. After the complains, the singer was forced to defend herself saying that why aren’t guys not talking about her good photos only complaining about the bad. “Hivi wale watu wa maadili mbona picha za hivi huwa hamlike wala hamcomment kwa wingi mkiwekewa? Haya maadili hayo hapo sasa inakuwaje? Mbona hamsifii, ila binadamu ni wanafiki sana sijapata kuona”. she posted.